Hexagonal, modular wood wool tiles can be used to create a stunning feature wall while also providing excellent sound absorption. Maybe you’re someone who is constantly coming up with ideas on how to give your home that extra level of oh-so-fabulous, but you’re also all about being kind to our planet. Sound about right? If so, there’s one interior design item that’s gaining a new level of respect because it combines style and sustainability in a way that will make your home truly Pinterest-worthy — eco-friendly tiles. Let me tell you about five styles of eco-friendly tiles that can be a welcome and invigorating addition to your home space. Read on for a primer on each of these and see which one will add the right extra flair to your abode. All of those shavings generated from wood products are being recycled to have another life — as wood wool. Wood wool, or excelsior as it’s referred to in North America, is mainly created from the slivers cut from logs. The fineness of it has led wood wool to be primarily used as cushioning for packaging, for teddy bears and even in those Easter egg baskets you see in your local drugstore. But it’s also a notable sound-absorbing material. 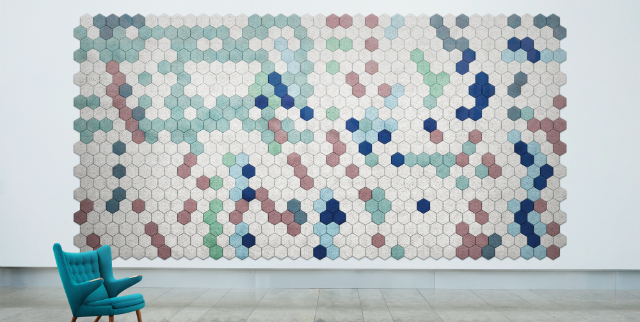 To that end, the tiles are now appearing in homes, and one Swedish company, Form Us With Love, has creating created a line of hexagonal, modular wood wool tiles in different colors. Due to its ability to withstand high temperatures, fireclay has been employed for the past couple of decades by one or two smaller home design companies mainly as an alternative to cast-iron ones sinks and for bricks for outdoor fire pits. Fireclay is made from a range of post-consumer materials like porcelain from discarded bathtubs and even glass from old TV sets. Now you know that some of those TVs before the Netflix era didn’t perish in vain. When it comes to tiles though, fireclay has proven to be particularly popular because of its durability and the swath of colors and sizes that you can acquire for any interior and or outdoor exterior design plan you can imagine. Glass recycling is a routine part of life in the U.S., but it doesn’t mean that there isn’t an excess still present — in fact, it’s noted that as much as 70 percent [JM1] of it still winds up in landfills. In addition, glass doesn’t easily break down due to its composition. However, the advent of recycled glass tile is helping to reduce the amount of leftover glass impacting the environment while adding a unique touch to your home. Recycled glass tile comes with a more translucent look due to the production process and is available in a multitude of colors and finishes. The tile is resistant to chemicals and stains which makes it ideal for bathrooms and kitchens, as well as floors, and walls and countertops. Face it, – you’ve dreamed of having vintage-looking wood flooring in your home or apartment just like you’ve seen in all of those home living magazines. But these days it can be a hassle not only to find and but to maintain. Enter reclaimed porcelain. Yes, porcelain. Those old dishes and sinks can be broken down and reformed into tiles for your home with a wide variety of styles that have the look of wood, but at a substantially lower cost than real wood flooring. Don’t give up on having vintage wood in your home just yet though. You can now find different varieties of reclaimed wood to go in your living space, from wood that was once in barns to wood planks from old cabins. These tiles can be purchased and configured for floors and walls to make for some stunning interiors that will rival what you’ve seen in any of those elite gastropubs you happen to be in. 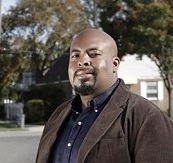 Christopher Smith is a freelance writer when he’s not sampling the best cuisine in his hometown of New York City. Prior to that, he worked in film and television post-production, and counts the honor of working with Eartha Kitt among his milestones.